We are back with another “DIY Playbook, Save our Space!”. 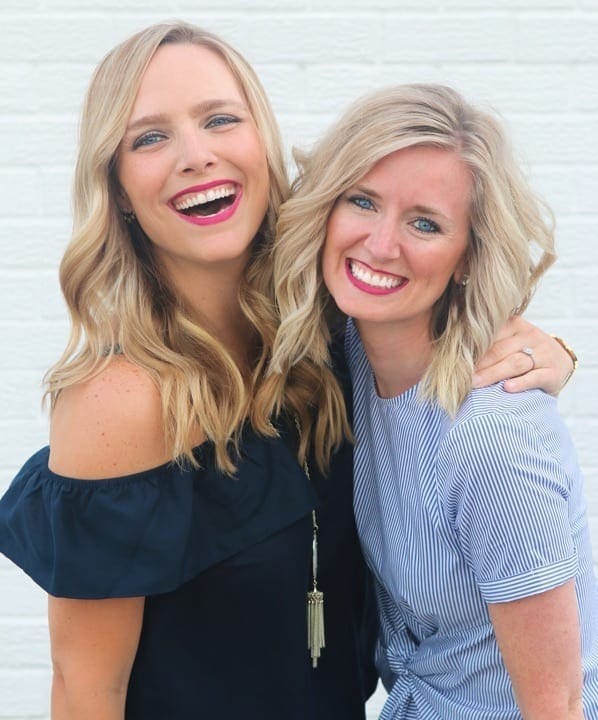 You guys have been emailing us about your Reader SOS and we’ve been able to get a little glimpse into some of the design problems you’re having when it comes to decorating. 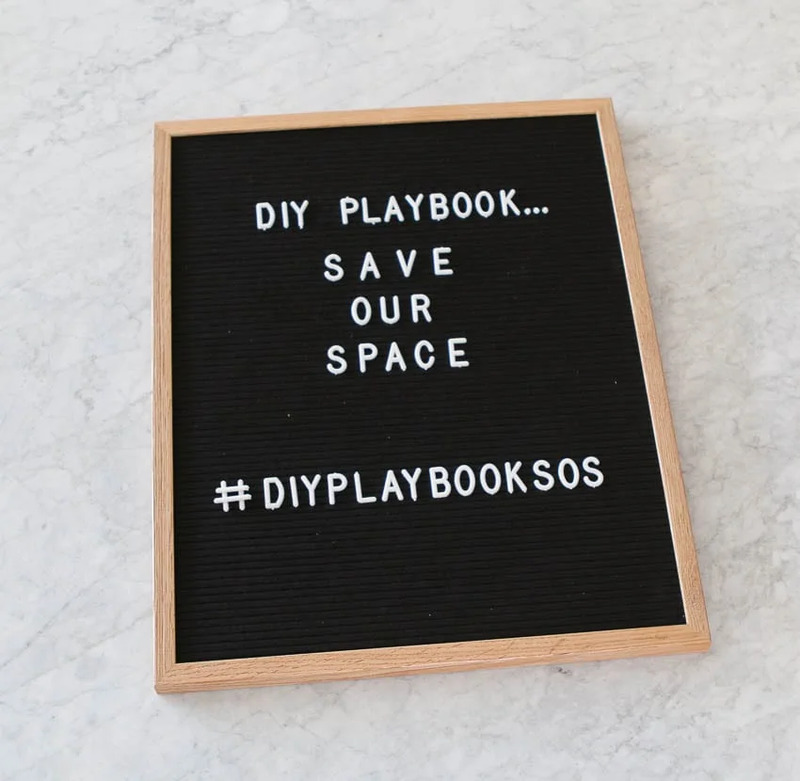 Our plan for #DIYPlaybookSOS is to take a reader’s space and (virtually) offer tips & tricks on how to improve it. Thank you for sending in your design problems…we loved reading through all of them. Even if yours wasn’t chosen today, that doesn’t mean that we won’t tackle it in the future. So keep ’em coming! 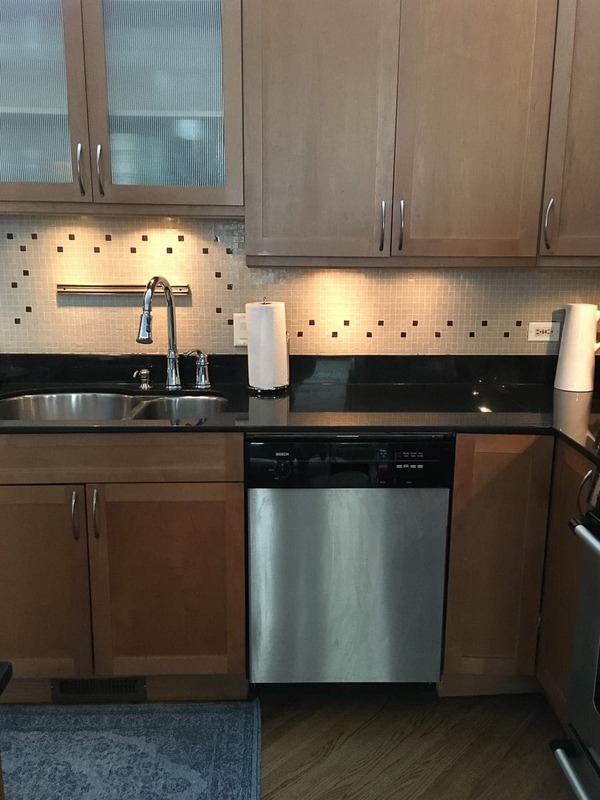 How Do I Upgrade My Kitchen on a Budget? 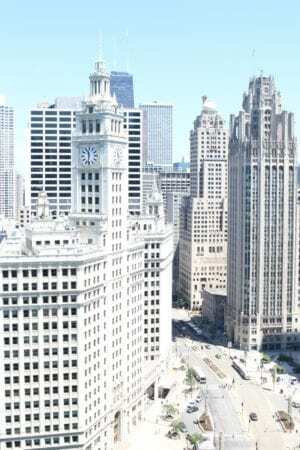 Kelly reached out in need of some ideas to update her Chicago kitchen. 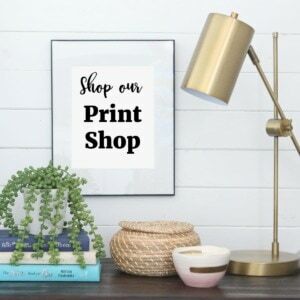 We want to do a few small updates to brighten up the space. We aren’t in love with the backsplash. 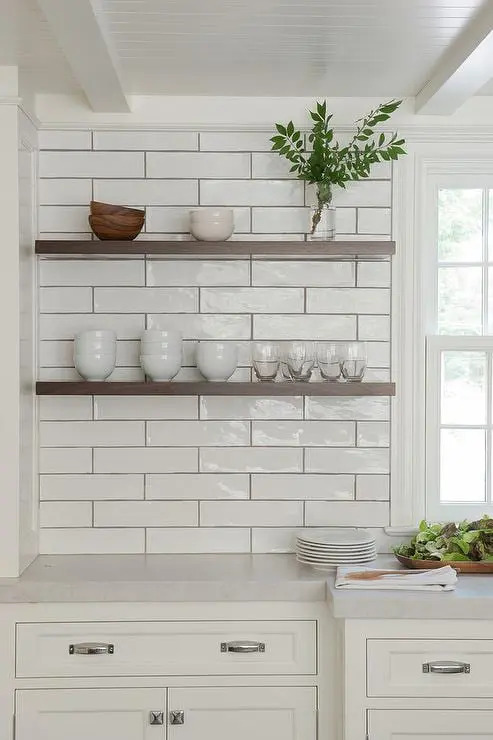 I have thought about subway tile (white seems too bright though?) with a dark grout. I also hate the plastic cabinet front above the sink but have no idea what to do with that. We live in Chicago and need all of our storage hidden so no open shelving. We chose this Reader SOS because it is soooooo incredibly common to have a kitchen that you’re not 100% in love with. 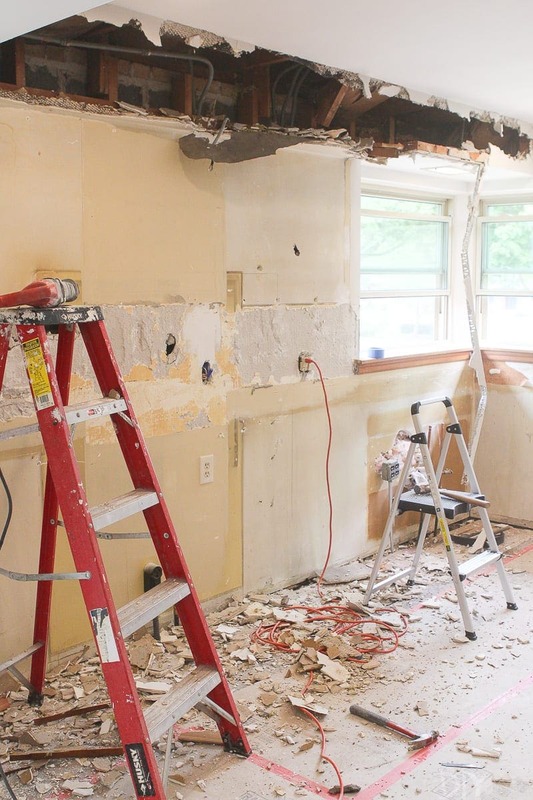 But you might not have the time/money/resources to change it, or perhaps you’re waiting a few years to do an entire kitchen remodel and don’t want to jump the gun now. We totally get it! In fact, right now Bridget is living with a kitchen that she isn’t obsessed with until her kitchen renovation begins. So what can you do to tide yourself over? 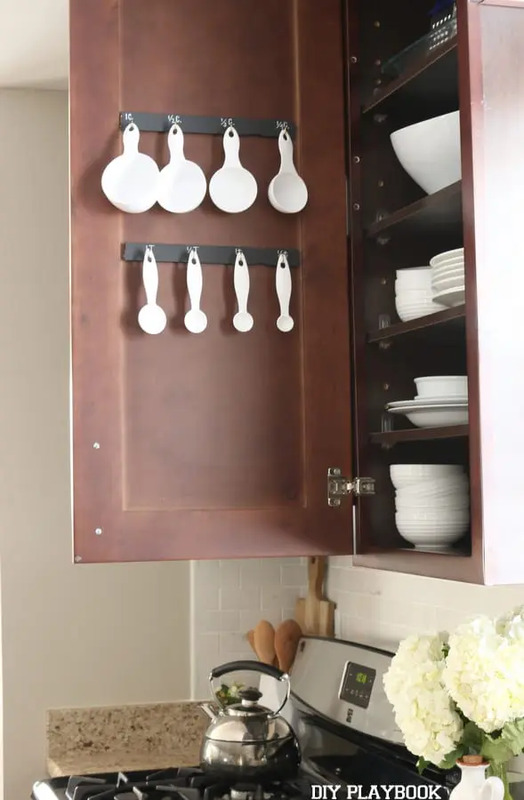 Obviously, this is our first go-to answer for ANY kitchen or bathroom that is in need of a simple upgrade…change the hardware! 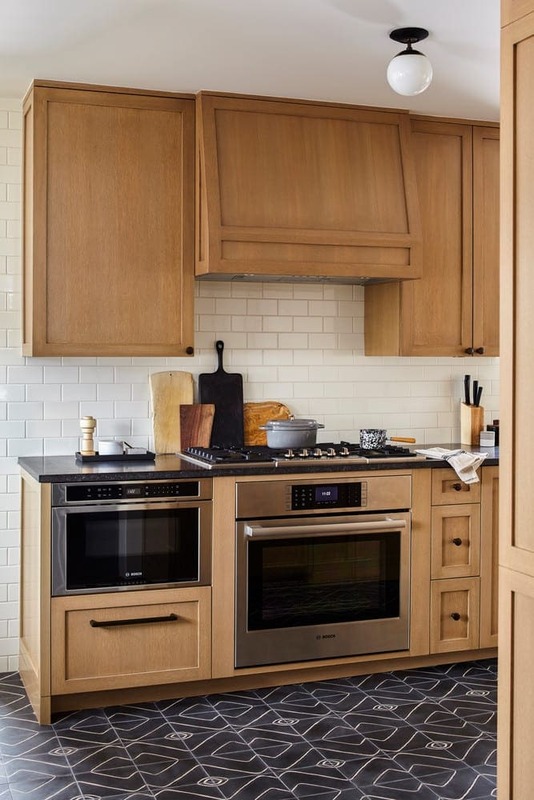 In Kelly’s space, we like the idea of a black handle to go with her wood kitchen cabinets (like in the dreamy inspiration photo above). Brass would get too lost in the wood and silver isn’t working great right now. 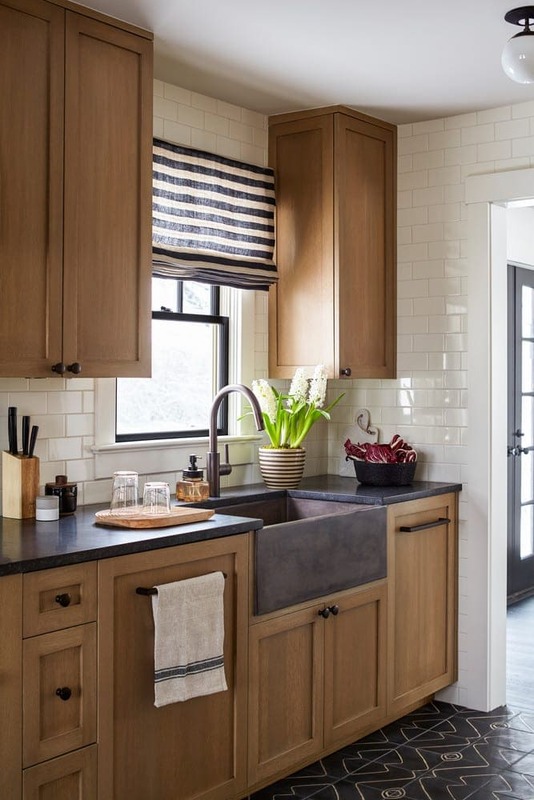 A matte black handle would make her kitchen appear less dated and would complement the black countertops. We love this black handle, this one from CB2, this one too! 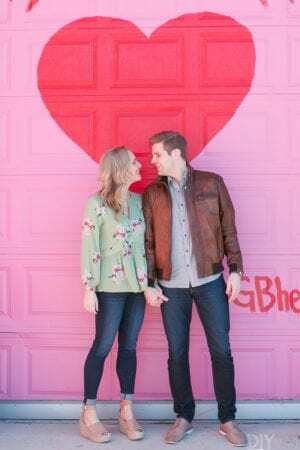 Kelly mentioned that she doesn’t love the backsplash. 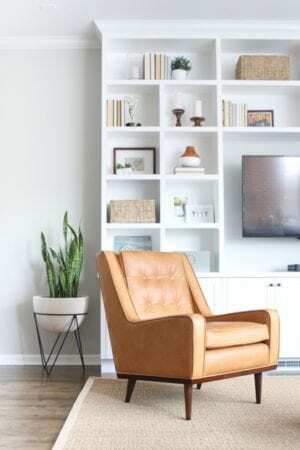 If you absolutely loathe something in your house, you should do everything you can to change it. Why live with something that irks you every.single.day? Tiling your own backsplash is definitely doable and it’s a great way to tiptoe into DIY. We’d suggest taking a weekend to rip out the old tile (take off the upper portion of the countertop too, that is on the wall) and tile on a backsplash that you absolutely love! 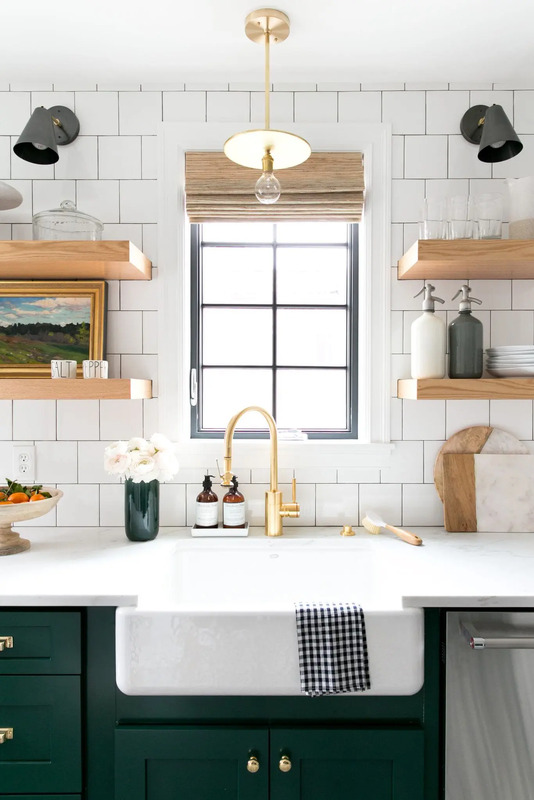 Kelly mentioned that she has considered subway tile for her space, and we think that’s an amazing idea! It’s the most affordable tile out there and you can’t go wrong with a classic white look. We would suggest doing a gray or white grout instead of black though, because the black/white combo may be a little stark in this space. Or if you aren’t up for ripping out and replacing the backsplash, we have seen people paint their backsplash. Yes, paint their backsplash!!! It may seem crazy, but there are some great tutorials out there (like this one). Plus, if you screw things up you can always just rip it out and tile it. Worth a shot, right? 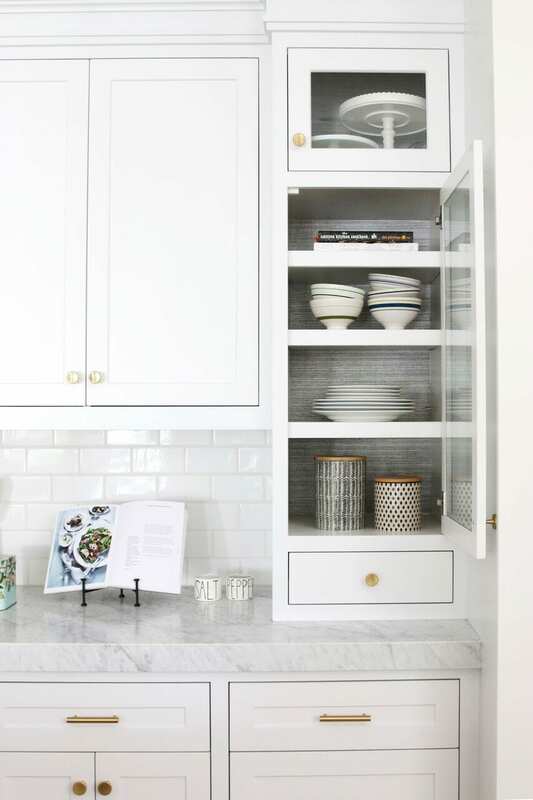 See if you can swap out the cabinet doors for regular ones. 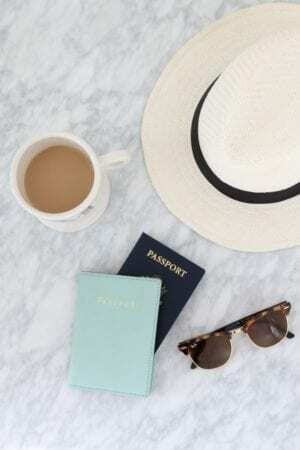 This would be an easy and inexpensive swap! However, it may be hard to track down the exact cabinets. 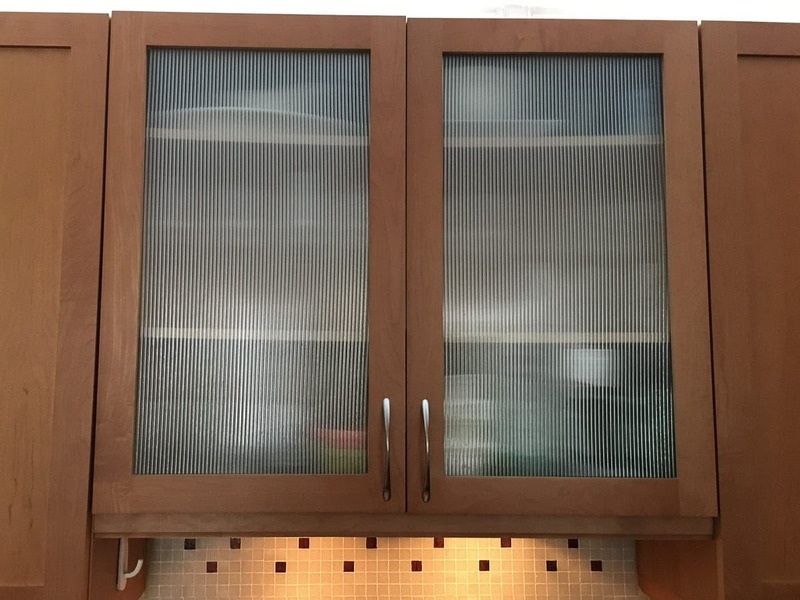 The real problem here is that the plastic front cheapens the look of the kitchen cabinets. So, therefore, we think it should be removed and replaced with either glass or metal. Emily Henderson proves that metal inserts can look fantastic in a kitchen! How gorgeous do her dishes look behind that cool metal pattern? This is actually an inexpensive DIY project (here’s a good tutorial) that could be done in a day! Or you could swap the plastic for glass (another easy & affordable DIY project. Here’s a tutorial). However, note that those 2 cabinets would need to be “styled” in some capacity. You couldn’t just throw a bunch of random kitchen items in that cabinet and a call it a day. 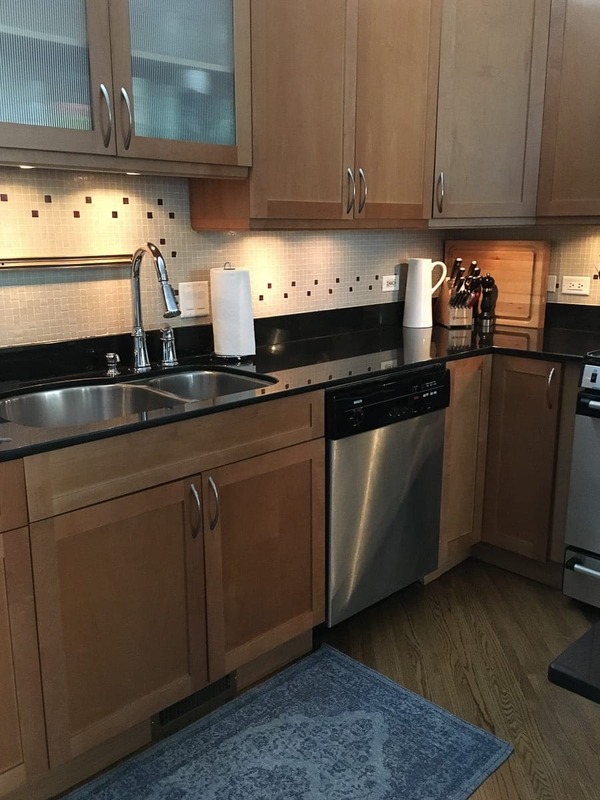 Kelly would probably need to re-organize her kitchen to make sure the glass cabinet doors showed wine glasses, white dishes, or matching glasses in order to keep the space looking neat and streamlined. 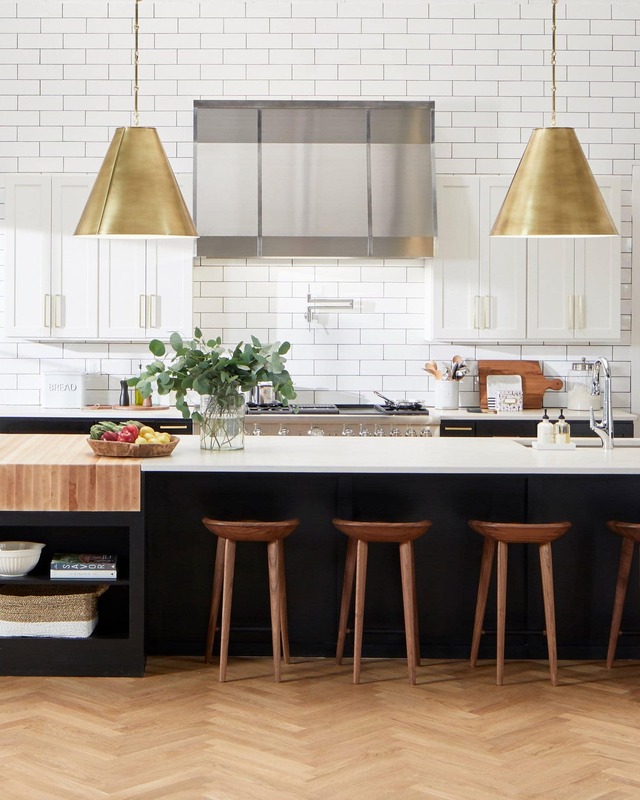 Finally, we think it’s always a good idea to style your kitchen! 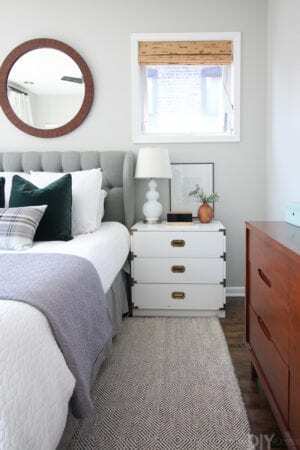 Yes, this is a place where function is important, but it’s often an overlooked area to style and add some personality. 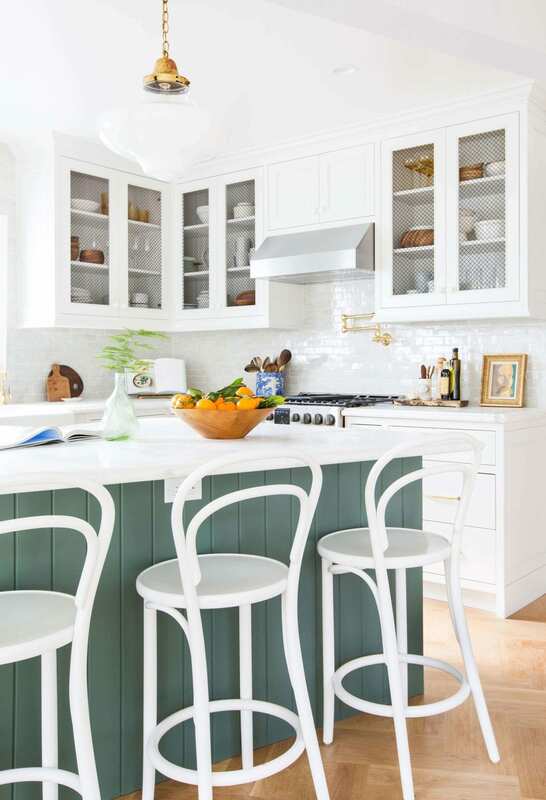 First, remove all unnecessary clutter on your kitchen countertops. We’re talking about that toaster oven that you rarely use, the block of knives (where you really only use the same one over and over…), etc. With the counters more bare, you can add in select decorative items. 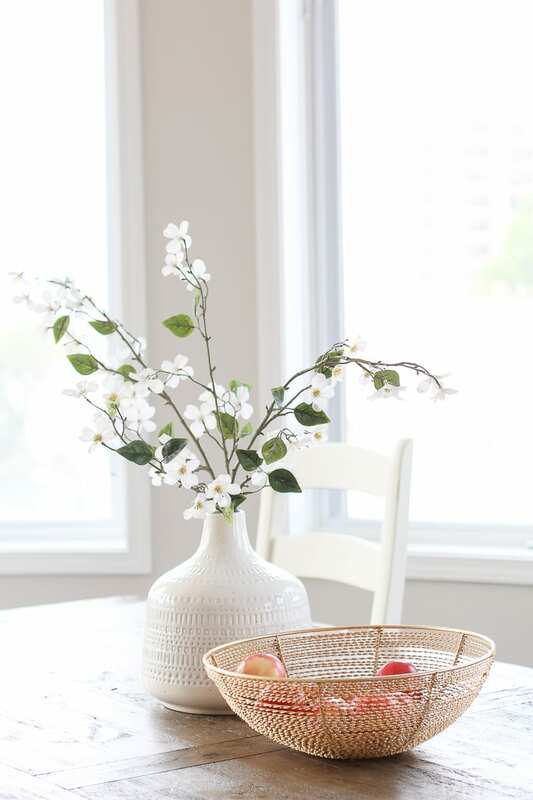 Layer in cutting boards to hide the ugly backsplash, buy some new pretty dish towels, add a few plants here and there and it will feel like a brand new space! We also love the idea of layering in framed family recipe cards (like in this post) and even adding a cute soap dispenser near the sink. These little touches can make anyone fall in love with their kitchen just a tiny bit more! Do you guys have any more ideas for Kelly’s kitchen upgrade on a budget? I’m sure she would appreciate your input! And if you have a Reader SOS you want us to tackle, be sure to email us at [email protected] with photos and information about your space.